The Last Supper by Leonardo da Vinci is the second most famous painting in the world after the other da Vinci masterpiece, the Mona Lisa. 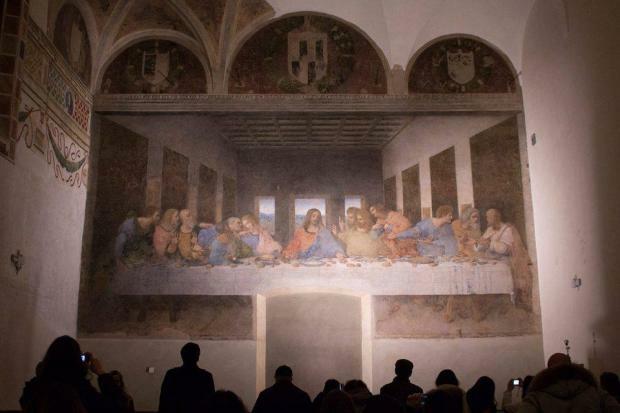 When da Vinci was asked to paint The Last Supper on a wall in the refectory of the Convent of Santa Maria delle Grazie, he chose to paint on dry wall rather than on wet plaster as is traditionally done in frescoes. The painting has become one of Milan’s most famous attractions. The Last Supper tickets are in high demand. Many visitors never get to see this artwork. Entry is only allowed every 15 minutes with a maximum of 30 people at any given time. This means visitors must pre-book online well in advance to secure a spot to see it.